The Form W-2 scam has emerged as one of the most dangerous phishing emails in the tax community. During the last two tax seasons, cyber criminals tricked payroll personnel or people with access to payroll information into disclosing sensitive information for entire workforces. Here’s how the scam works: Cyber criminals do their homework, identifying chief operating officers, school executives or others in positions of authority. Using a technique known as business email compromise (BEC) or business email spoofing (BES), fraudsters posing as executives send emails to payroll personnel requesting copies of Forms W-2 for all employees. The Form W-2 contains the employee’s name, address, Social Security number, income and withholdings. Criminals use that information to file fraudulent tax returns, or they post it for sale on the Dark Net. The initial email may be a friendly, “hi, are you working today” exchange before the fraudster asks for all Form W-2 information. In several reported cases, after the fraudsters acquired the workforce information, they immediately followed that up with a request for a wire transfer. In addition to educating payroll or finance personnel, the IRS and Security Summit partners also urge employers to consider creating a policy to limit the number of employees who have authority to handle Form W-2 requests and that they require additional verification procedures to validate the actual request before emailing sensitive data such as employee Form W-2s. If the business or organization victimized by these attacks notifies the IRS, the IRS can take steps to help prevent employees from being victims of tax-related identity theft. 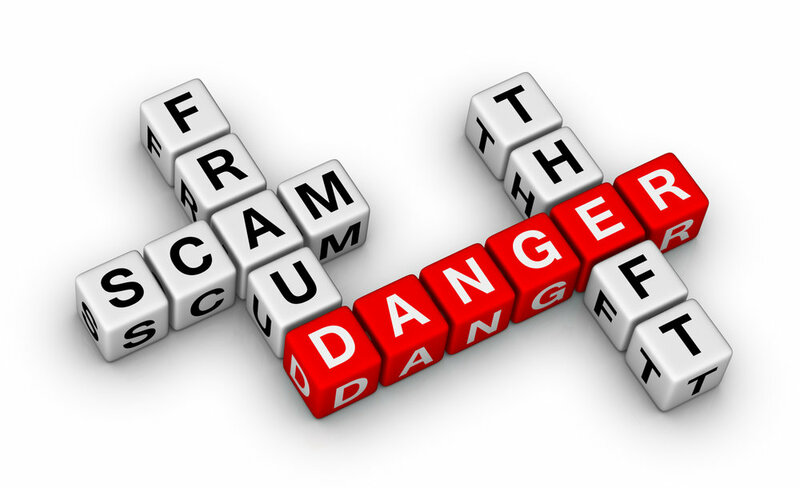 However, because of the nature of these scams, some businesses and organizations did not realize for days, weeks or months that they had been scammed. • Email dataloss@irs.gov to notify the IRS of a Form W-2 data loss and provide contact information, as listed below. • In the subject line, type “W2 Data Loss” so that the email can be routed properly. Do not attach any employee personally identifiable information data. Employers can learn more at Form W-2/SSN Data Theft: Information for Businesses and Payroll Service Providers. (Bloomberg) This tax season, millions of Americans are supposed to pay a penalty if they don’t have health insurance. At least, that’s what the Affordable Care Act requires. As the April filing deadline approaches, however, Americans have reasons to think they might get away with not paying what they owe. After President Donald Trump took office, the Internal Revenue Service changed the way it handled the health coverage question on tax returns. Initially this tax season, the agency was automatically rejecting "silent" tax returns—those that didn't indicate whether the taxpayer had insurance coverage. The IRS reversed course a few weeks after Trump, on his first day in office, ordered agencies to ease the burdens of complying with the ACA. The unsuccessful Congressional effort to repeal and replace the ACA only added to the confusion. The reversal has prompted a debate among accountants and other tax preparers on what to tell clients to do about their Obamacare penalties, also known as "shared responsibility payments." The penalty starts at $695 per adult without coverage. Emily Wallace, 55, wasn't sure how to handle the $962 she owed for not having insurance. "I'm one of those fiftysomethings that the ACA really hurt financially," she said. The resident of Greenwood, S.C., goes without insurance because it would cost more than $7,000 a year to sign up for her husband's workplace policy and about $9,600 to buy a policy on the Obamacare exchange. She doesn't qualify for subsidies because of her husband's income, which also boosts the penalty she owes for not having insurance. "It seems to me more wise to pay the penalty and save as much as we can for routine doctor visits," she said. There are risks to filing a so-called "silent return" and skipping the penalty. "Legislative provisions of the ACA law are still in force until changed by the Congress, and taxpayers remain required to follow the law and pay what they may owe," the IRS said in a statement. The agency added that "taxpayers may receive follow-up questions and correspondence at a future date." Some tax preparers will refuse to help clients file silent returns. Enrolled agents—accountants, lawyers, and other tax experts who are certified by the IRS and required to meet certain ethical and legal responsibilities—are the most likely to balk. The National Association of Enrolled Agents told its members that they "should continue to help taxpayers comply to the full extent of the law." Not all tax preparers agree. Nina Tross, an enrolled agent who is also executive director of the National Society of Tax Professionals, said she warns her clients about the possible consequences of disobeying the ACA. But she lets them file a silent return if they want. "They can make the choice," Tross said. And many are choosing to try to avoid their Obamacare penalty, she said. "They're rolling the dice on this, and the IRS is letting them." The largest U.S. tax preparation companies, TurboTax, owned by Intuit Inc., and H&R Block Inc., are both letting customers file silent returns—while warning them of the possible consequences. A silent return may "increase the risk of an IRS notice or audit," H&R Block spokesman Gene King said. Tax preparers also point out there are other, legal ways to avoid the penalty, through multiple exemptions based on financial hardship and other criteria. It's impossible to tell if the IRS will aggressively track down those missing payments. The agency could inundate silent filers with thousands of follow-up notices, requesting more information on their health insurance status. The IRS can easily check the veracity of the responses: By later this year, the agency will have collected and processed millions of health coverage records , giving it a good idea as to whether you owe a penalty or not. Taxpayers can always refuse to pay Obamacare penalties. The IRS isn't allowed to collect on the health coverage penalty the same way it collects other tax debts. That means the agency can't garnish your wages if you fail to pay the penalty. The agency can, however, deduct the penalties you owe from future tax refunds. Politics could be a key factor in how the IRS enforces the individual mandate this year. On Friday, Trump said his predecessor’s health law was "imploding and soon will explode and it's not going to be pretty." If the Trump administration wants to further undermine Obamacare and its insurance markets, loosening enforcement of ACA penalties is one of several options. Before paying her penalty, Wallace wanted to wait and see what Congress would do. Then, earlier this month, she and her husband got word that someone else had filed a fraudulent return on their behalf. That forced them to file their taxes and pay the penalty. If Congress ends up eliminating the penalty, they figured, they could file an amended return and get the money back. That's looking unlikely now, to Wallace's disgust and disappointment. "I'm more concerned about Washington's inability to solve the problem than I am about the $962 I have to pay for the penalty," she said. When you start a business you're faced with the decision of what type of business to form: sole proprietorship, LLC, S-Corp, and others. The most basic business entity, the sole proprietorship, may offer you more tax benefits than any other business type. Find out what they are here. I once taught a graduate tax class about choosing between an LLC and an S corporation. Probably for this reason, people frequently ask me about which entity form they should chose. "Is an S corporation better than an LLC?" they ask. "What about a C corporation?" others query. A sole proprietor reports his or her business profit to tax authorities on simple one- or two-page form called Schedule C. For many sole proprietorships, in fact, all the IRS requires is a crude listing of revenue and expenses. In comparison, a corporation tax return is at least eight pages in length-and the return (typically either an 1120 or 1120S form) can it can be much larger if there's a bunch of complexity. Corporate tax returns, by the way, practically force you to use full-blown accounting software such as QuickBooks. Now, admittedly, the "easy tax return" may seem like a small point. But the extra work and complexity of a corporation return doesn't just mean more hours. It probably means you'll need to pay someone like me to do your return. That cost can be anywhere from a few hundred to a several thousand dollars annually in extra costs-costs that are over and above what the return would cost if your business operated as a sole proprietorship. Here's another often-missed tax-saver unique to sole proprietorships. A sole proprietor can hire his or her minor children and not pay any payroll taxes. Other employees and employees of corporations would trigger payroll taxes-typically of at least 7.65% of wages paid. If your minor kids help out in your business and the business is operated as a sole proprietorship, the family tax bill can drops by one to two thousand dollars annually for each child employed. Here's how the math works: If you just keep your last $6,000 of sole proprietorship profit, you'll very likely pay roughly 15% in self-employment taxes on the profits. So that's roughly $750 of tax. You'll probably also pay at least another $750 in income taxes and quite possibly another $1250 in income taxes on the profit you keep yourself. If you pay your teenager that last $6,000 because they're actually doing work for you-the payment needs to be reasonable-neither the teenager nor the business nor the parent will pay any income or employment taxes. Total tax savings? $1500 to $2000 annually. One other uniquely powerful tax benefit for sole proprietorships exists: Healthcare reimbursement arrangements, or HRAs. A healthcare reimbursement arrangement (also known as a IRC Section 105(b) plan) is an employer plan to reimburse employees for medical costs, including medical and dental insurance, deductibles, co-pay amounts, and any other legitimate healthcare expense. Sole proprietors, partners in partnerships, and S corporation shareholder-employees can't participate in HRAs. But there's a loophole in the law: A sole proprietor's spouse can be covered. And that coverage can include both the employee and the employee's family. Even though the spouse-employee's family includes the sole proprietor! What this means is that if your proprietorship employs your spouse, the sole proprietorship can establish an HRA that reimburses all or some huge portion of employee's family medical costs. The reimbursement is a business deduction for both income tax and self-employment tax purposes. That double deductibility often saves big taxes. Let's say that your family pays $9,000 a year for health insurance and another $9,000 for uncovered medical expenses. Say a family member has an expensive long-term illness. Or simply that you've got teenagers with big orthodontia bills. Because you're self-employed, you would get to use the $9,000 of health insurance costs as a business income tax deduction in most cases anyway. (Self-employed individuals can write off medical insurance if their business is profitable.) However, with an HRA, you'll also be able to use the $9,000 of health insurance costs as a self-employment tax deduction. That saves you roughly $1350 annually. In addition, you'll be able to fully deduct the other $9,000 of uncovered healthcare costs as both an income tax deduction and as a self-employment tax deduction. This deductibility could easily save you another $1350 in self-employment taxes and then another $2250 in income taxes. Total savings: $4950 annually. A quick caution: A HRA needs to be nondiscriminatory, so you would have to provide it to all employees.Furthermore, under the Affordable Care Act, penalties for healthcare insurance discrimination are extreme. (As much as $36,500 per employee per year! Ouch.) Many sole proprietors, therefore, might want to offer a full reimbursement plan only if family members were the only employees. You should confer with a tax advisor, probably, if you want to set one of these plans up. The ending bank statement balance transaction when a new bank account is created in the EasyStep Interview. Opening balances for other Balance Sheet accounts created in the Add New Account dialog box. Opening balances entered when New Customers or Vendors are set up. Inventory total value balances entered in the New Item dialog. Bank reconciliation adjustments for QuickBooks versions 2005 or earlier. Accrual basis opening accounts payable transactions as of the start date. Accrual basis opening accounts receivable transactions as of the start date. Uncleared bank checks or deposits (accrual or cash basis) as of the start date. Users do not know what to do with the Open Balance Equity account. Users enter an opening balance when setting up a new account, vendor, customer or inventory item. Users create transactions that post to the Open Balance Equity account. Balance remains in Open Balance Equity account long after initial start up of the data file. Open Balance Equity account has a balance. To review the transactions in Opening Balance Equity account a report of the transactions is first created. Click Reports > Company & Financial and select the Balance Sheet Standard report. Without adjusting the date, view the Equity section of the report to see whether a balance exists in the account. The Opening Balance Equity account value might be equal to the prior year Retained Earnings. So, if a balance in the Opening Balance Equity account exists and if the balance is equal to the prior year’s Retained Earnings, the Opening Balance Equity can be closed into Retained Earnings – as discussed in the next section. Click Reports > Custom Transaction Detail Report. The Modify Report dialog appears, with the Display tab selected. Select the Report > Date Range to be reviewed. Choose All from the Dates drop-down menu. In the Columns section of the Display tab, click to place a check mark next to those data fields to be included on the report, or click to remove the check mark from those not to be included on the report. Be sure to include Type near the top of the list. In the Choose Filter pane, select Account; from the Account drop-down menu select the Opening Balance Equity account, as shown in the image below. Optionally, for the Sort By drop-down list, select Type. This option groups the report by type of transaction, which might make reviewing the source of the transactions easier. With the report sorted by type of transaction, determine whether errors in entries were made is the next step. One of the most important things to know about the Opening Balance Equity account is that when a file is completely and successfully set up, no balances should remain in the Opening Balance Equity account. You are not converting the data from Quicken, Peachtree, Microsoft Small Business Accounting or Office Accounting. Each of these products has an automated conversion tool available free from Intuit that eliminates the need to make startup transactions if the data is converted and not just lists. The company had transactions prior to the QuickBooks start date (i.e., it is not a new business). If it is a new business with no prior transactions, then simply begin entering typical QuickBooks transactions with no need for unusual start up entries. If there were transactions prior to the QuickBooks start date, and each of the unpaid customer invoices, unpaid vendor bills, and uncleared bank transactions have been entered and dated prior to the QuickBooks start date. The trial balance has been entered one day before the QuickBooks start date. (i.e., if the fiscal year starts 1/1 then the trial balance is dated 12/31 of the previous year). If the above stipulations are true, then the Opening Balance Equity is expected to equal the Retained Earnings balance from the accountant’s financials or from the prior software. If it does not agree, continue to review the data to identify the errors. If it does agree, then make the final entry in the startup process to close out the balance in Opening Balance Equity to Retained Earnings.